This still is made to order and will ship between 12-14 business days. 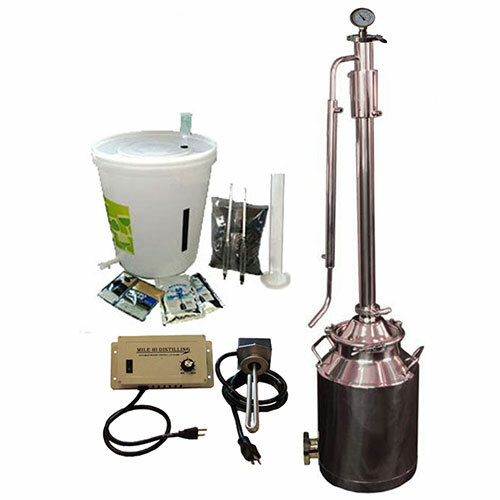 8 Gallon Still with 2 Inch Dual Purpose Tower Deluxe Kit 110V Controller 2000 watt element heat source and Starter Kit to get you everything you need for a successful start. 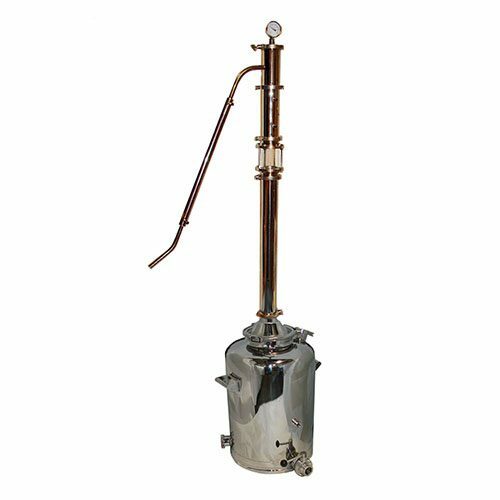 With the popularity of the Dual Purpose Reflux Still and our Dual Purpose Complete Kit, and the introduction of our new 110V Heating Controller with 2000W Heating Element. Keep up to date with the latest technology and get yourself this controller along with your still. This controller is designed to give the operator more control of the heat without the cycling. 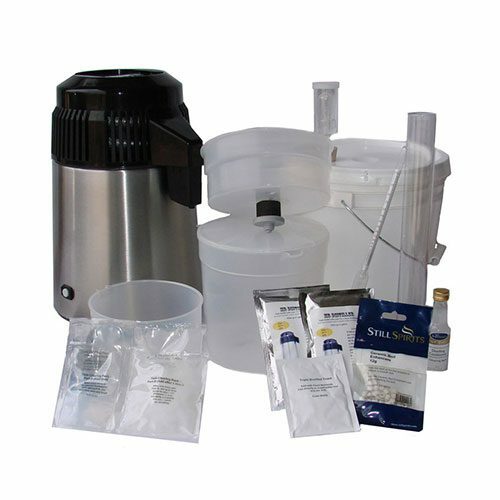 The Starter Kit will give you what you need to get started fermenting right away. 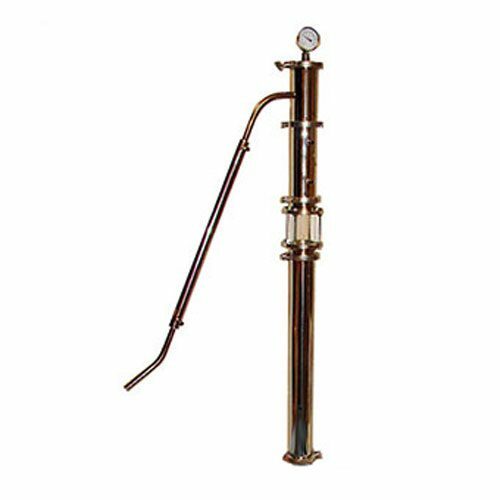 This still kit also has the benefit of including the upgraded Stainless Steel dial thermometer for the top of the tower, a $69.99 value. The tower comes with 2 of the 2″ clamps, 3 of the 2″ gaskets, an 2″ plate with 1/2″ NPT to screw your 2.5″ Dial Thermometer in place, and the 2.5″ thermometer. The 8 Gallon milk can will come with an additional clamp and gasket for the 2″ cap , and a 1/2″ threaded plug. 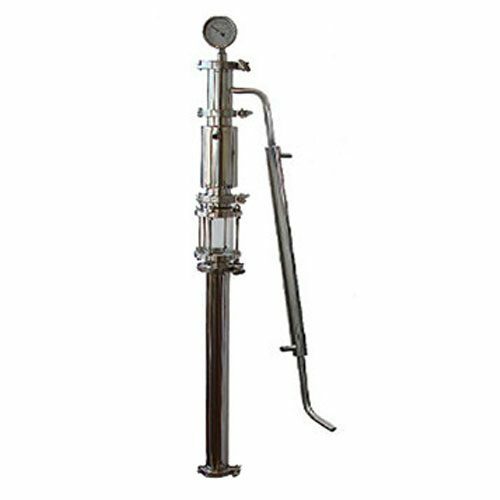 The 8 gallon boiler can be used with gas burner, electric hotplate or the electric heating element. A free bag of yeast is included with every still purchase. 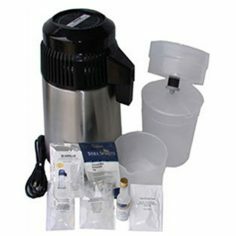 What a great kit came with everything needed to start distilling. What a great product! Solid sturdy design, and couldn’t be more satisfied with the results I get from the still. I have owned this still (without the controller) since February 2014 and it had not let me down. Be fore this still the only thing I ever owned or operated was the Mr. Distiller. This is definitely the way to go. Gives you everything you need to get going and really all you need. My last run was my best with the initial head at 198 proof. After I ended the run and combined all of what I collected it ended up being a little over a gallon with a proof of 183. I haven’t actually bought this kit yet due to them being so popular they have sold out. But I’m giving this 5-star review based on the service I received so far from Mile Hi. These guys are amazing and keep you up-to-date on what’s going on and when everything will be back in stock. These guys are top-notch! A functional work of art! Looks better on the work table than in the pictures. I have done 3 runs so far as a reflux and I am happy with operation and performance. I have split the cooling to the condensers to have a bit more control but it is probably just splitting hairs, I’m sure it is fine the recommended way. I can’t wait to try the pot still mode. THANK YOU MILE HI! 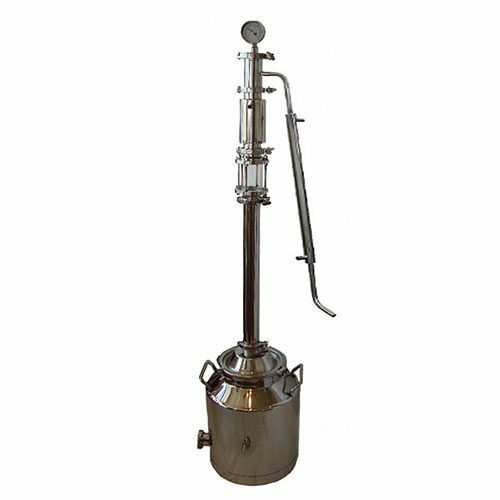 The still is very well made and the results from it are fantastic. What I was most impressed with was the customer service though. Mile Hi was very attentive and prompt in answering some questions I had and also flexible in changing my order after I’d already submitted it. If you order from them you will not be disappointed. I’m a beginner here and pulled 150 proof on my first try. Very happy with the quality of still and the heating device. I’ve made some mistakes…but it’s not the machine here. It’s the operator.